I’ve been involved with the Pitpilot baby right from the start. I watched one of my best friends, Joe Moran go through a painful labour (full respect for that) and give birth to it, then I watched it grow and tried to help nurture it with ideas and support when needed, almost like a crazy uncle. 08 - OLI ADAMS: GUEST EDITOR Oli takes time out from his hectic trekking around the jungle and falling out of trees routine to “Spank the Truth Monkey” and do some Editing. 24 - PORTHLEVEN it’s been breaking hearts and busting heads for years, and if you ever turn up for a look, make sure you show some respect! 38 - GET OUT OF YOUR BOX Everyone needs to get out of his or her box a bit; here’s someone who is famous for it, Mr Danny Wall. 40 - BRIDGES, FRIDGES & TREES Ever felt the need to gently glide the wrong way up a river? BINGO ! 50 - WIN WIN WIN WIN WIN WIN Some shiz We’ve been hassling to get prizes for you winners out there! Losers need not apply. wrong in some places and people will point at a sign on the wall and make tutting noises, get it wrong somewhere else and you are going home looking different to the way you looked when you arrived. 97 - MR B and the MAGIC LIST B spills some beans with a series of in depth Grom reviews. 69 - PITSTOPS Snow, hail, sunshine and perfect swell, 2010 kicks off with a BANG ! 78 - THE ARGUMENT Parabolic V Parabollocks. How many surfboards have you got ? How many have you and your friends owned over the years ? What shape are they ? Have a look at this… you are going to either love it or hate it, its like Marmite with fins on, we LOVE IT ! A High Performance British and Irish Surf Film shot in England, Scotland, Wales, Ireland and Abroad An exciting, fun, inspiring and amping film proving that British surfing can be world class. 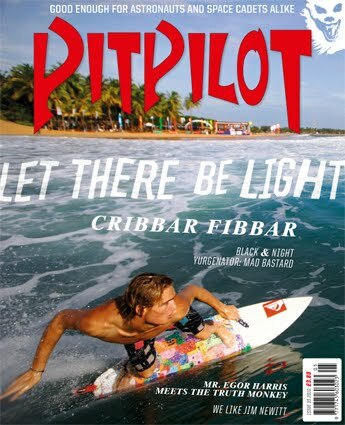 Pitpilot, the only British surfing magazine dedicated to the British surfing community. 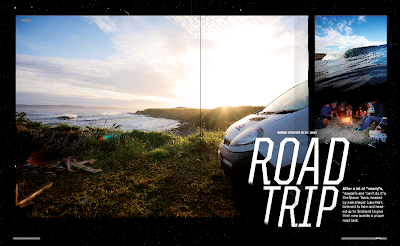 It's the Sunday lunch of surf mags, a visual feast of eye catching photography. Prime Beef filled articles served with hideous spelling, spoonfuls of roasted reviews n' disgusting views, garnished with the odd breast, all washed down with several pints of unrefined riddles n' rhymes, jokes and good times. 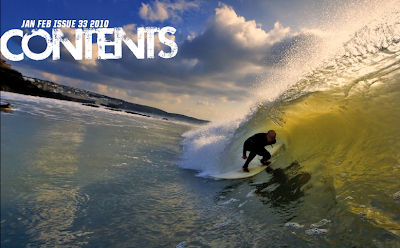 Pitpilot is here to expose British surfers in Britain and abroad, showcasing British talent in order to further and raise the profile of both British surfers and the British surfing Industry. 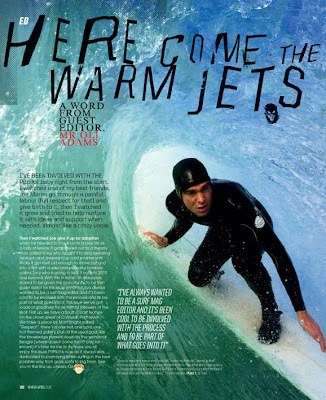 Our philosophy, be a 'British surfing magazine'.